Subtheme of session 83: Democracy and the Common Sense of the people: Ancient and Modern. Indirect Participants within the Great Imaginary Conversation across the ages: Wikkstibecraft, Plato, Gramsci, Illich, Beowlf, Dante, Socrates, Postman, Ortega y Gasset, Mohamad, Basawi, Rayak, Gates, Jobs, Woxnick, Musk, Churchill, Vico, Caesar, Napoleon, Machiavelli, Tocqueville, Aristotle, Condorcet, Herder, Hegel, Compte, Yeats, Coleridge, Arnold, Collingwood, Joyce, Croce, Fish, Bergin, Caponigri, Mazlish, Pompa, Berlin, Barnard, Verene, Jenkins, Bacon, Newton, Voltaire, Leibniz, Spinoza, Hobbes, Hume, Addison, Locke, Descartes, Avis, Bentham, Aquinas, Mazlish, Strauss, Einstein, Washington. 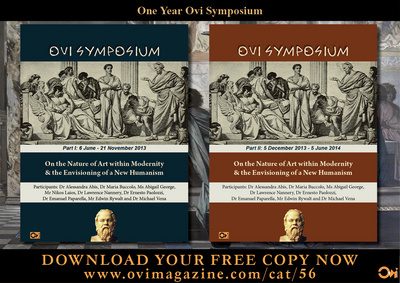 In this August issue of the Ovi Symposium we explore the theme of common sense throughout time and its interface with Democracy and social progress. In its wider implications common sense has to do with the issue of education (or perhaps a better expression would be “over-education”) devoid of wisdom leading to the concepts of humans as machines or technology zombies, or Frankensteins who end up destroying their own creators, as Azly Rahman masterfully renders in his haunting poem “The Last Judgment of Thamus” followed by some reflections on this urgent issue of the dehumanization of man found in his Ph.D. thesis. 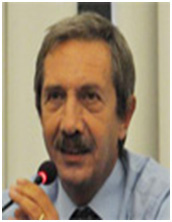 In the second presentation Emanuel L. Paparella returns to the theme of Vico’s understanding of the common sense of the people (also found in his Ph.D. dissertation)as a sort of indispensable wisdom necessary for the thriving and indeed the survival of a democratic polity. In the third presentation Michael Newman offers us some common sense reflections on common sense. Enjoy! In case the readers are wondering what happened to our regular Ovi Symposium contributor Ernesto Paolozzi, please be aware that he had to momentarily suspend his participation due to a serious health issue. However I am happy to announce that he is now well on his way to full recovery and will in the near future return to active participation. As majorem, Ernesto. First Presentation: “The Platonic Dilemma of our Frankensteinish Democracy, or Phaedrus: the Last Judgment of Thamus.” A presentation by Azly Rahman. Third Presentation: “Common Sense in a Crazy World.” A presentation by Michael Newman. Men will never be free until the last king is strangled with the entrails of the last priest. There was none among the myriads of men that existed who would pity or assist me; and should I feel kindness towards my enemies? No: from that moment I declared everlasting war against the species, and, more than all, against him who had formed me and sent me forth to this insupportable misery. Sometime ago, after reading Plato's narration of a conversation between King Thamus and the inventor Theuth concerning the impact of new technologies on society, after reading media guru Neil Postman's work Technopoly, and after deep reflection on the idea of the Luddites (a movement that "raged against the machine" during the Industrial Revolution), I penned verses which I find suitable to honor bloggers and online social commentators in their onward march towards creating a specter that will haunt the state-owned print media. I wrote this while I was writing an early draft of the conclusion to my dissertation on the impact of digital communications technologies on the nation-state of Malaysia. The dissertation submitted to Columbia University in the city of New York, explored the idea of spaces of knowledge and power and redefined the idea of free speech viz-a-viz social control and freedom viz-a-viz hegemony as the Italian thinker Antonio Gramsci suggested. In 1998, Malaysia created a new “digital city” called “Cyberjaya” modelled after Silicon Valley and Boston Information Superhighway. What say you concerning educational excellence? Brought about by new technologies of communicating? What say you of the blogger's impact on the teacher? And who guards the principles of a moral character? Aren't we already at the end of history? Wherein the Knower and the Known has no longer a boundary? blogging will bring into our future? Do you not remember that we are in the year 2020? under the weight of technologies of virtual realities? And you dear king - are you not already ancient history? You and your kingdom destroyed by technologies of Virtuality? When writing the dissertation on the digital technologies and deconstructionism, as it pertains to Malaysia during the Mahathir Era of 22-year authoritarian rule, I began with a conceptualization of an explanation of the process of how hegemony operates at the subtlest of all levels: language and the practice of everyday lives. It describes the creation of new spaces of power constructed from the ideological archives of the old and those that domesticate the dominated, to borrow the French sociologist Pierre Bourdieu’s term (1984). I used semiotics as one of the triangulated tool of analyses, the process of to explain the process of hegemonic formation. I tried to make sense of how the ideology of cyberneticism is described onto the physical landscape. The newly created cities of Cyberjaya and Putrajaya in the hypermodernized developmentalism of Malaysia are examples of how the global telematics conglomerate of the advanced capitalist world, particularly of the United States of America and Japan are invited exclusively to inscribe their brand of practices and signature economies onto a willing state such as Malaysia. Such an inscriptural enterprise is made possible by the “coalition of the willing” of the political and economic decision-makers of this state. The English language in general and that of American corporatism in particular becomes the instrument by which the inscriptions onto the landscape of ideology and infrastructure are made. Mahathir Mohamad, the creator of the MSC and the iron hand that sculptured the landscape which is now another form of an engine of growth, left a legacy of developmentalism that continues to define the style of his successor Abdullah Ahmad Badawi. The MSC continued to flourish as a real estate venture and a business area. Mahathir Mohamad survived his 22-year rule, exited gracefully, and continue to be honored by different states, institutions, as well as his own, UMNO (United Malays National Organization), party members. Today in 2017 however, he is on an all-out war against the present Prime Minister, Najib Razak; one he groomed to sustained his power after he retired. He is being hunted by the political Frankenstein he created and he is in return hunting his creation. The Internet has helped the Malaysians sit back, relax, and enjoy the great war between the Malaysian Malays. The power of technology, both as liberator and in helping things run amuck. The way the nation is administered, vis-à-vis hegemony, technology, and authority is reflected not only in the purpose of the creation of the MSC but in the way the nation is governed. Counter-hegemonic policies and pronouncements at international and national forums continue to be made in the post-Mahathir era. The idea of installations creating ideology and expression is central to my early proposition. I began with the premise that signs and symbols determine the nature and character of hegemony. How hegemony is structured is a complex, yet recognizable process. Hegemony alone does not merely sustain ideology. This notion is perhaps applicable to the case of hegemonic formations in societies controlled by corporate media but not in authoritarian states in transitional societies elsewhere such as Malaysia. Authority defines the character and furtherance of hegemony as well as the facilitation of hegemonic transitions. Cybernetic technology is such a technology, as I have learned in my case study. Digital communication technologies employed as a structuring tool by state authority that lies in one person who ruled for a considerable period of time. The authoritarianism in the Malay culture itself, appropriated by the authoritarianism of the modern Malay political leadership, aided by the authoritarianism inert in technology perceived as deterministic creates newer social systems, better systems of control, and more efficient systems of irrigation for global capitalism. The development of consciousness is dependent upon the development of literacy; in the case of Cyberjaya and the MSC, the language of cybernetics hegemonizes over the language of the agrarian society that is tied in to the peoples of the land and to that of natives. In the 22 years- reign of Mahathir Mohamad, the state saw a transformation of such a language, of cybernetics, appropriated and translated into social action and transforming the social relations of production to create “non-reproductive” forces of society such as national institutions and communication systems, besides the creation of “productive” forces such the means of “multimedia” production whose ends justify their links to the global capitalist economy. Hence, hegemony works in harmony with authority to create a hegemonic condition to further advance, in this case the cause of the transnational capitalistic struggle to dominate the world economy. Whilst many a philosopher and historian of technology such as Robert McClintock of Columbia University see the potentials of the technology of the Internet in for example, in democratizing society and intellectualizing the individual through education, in many a society such as Malaysia the technologizing of the polity itself becomes a natural process of creating a culture that not only is forced to be structured into the mold of a consumerist and international capitalistic economy but one that will be disabled by the very technology perceived to be democratizing. Marx’s thesis on technology, culture, and the development of consciousness is instructive in my understanding of what technology can do in not only changing the social relations of production but also altering consciousness and fragmenting realities. The crisis of our century will continue to be the questions I addressed in the poem Phaedrus II at the beginning of this essay. How can we continue to be human in an age of post-cybernetic technologization and the terrifying yet addictive possession of our psyche, mind, and body of Frankensteinism? We hear of terms such as new technologies, disruptive technologies, and all the words that suggest we are going to be happy with the new breed of spiritual and humanistic machines. We hear of what Artificial Intelligence and the toy called Virtual Reality is promising, as we move from the age of Industry to Information to Post-Information. What these terms mean remain clear to the neo-Luddite: these are enemies of humanity and threats to labour. As Marx would content, the dehumanizing aspect of these developments is masked. Factories get shifted, human beings lose their jobs, mass poverty set in, global cheap labor and even the new form of indentured servitude of those higher-tech assembly lines ala iPhone enslaved slaves in China – these too get disrupted as “technology moves” and advances, as if it has a life. Possessing of life force. As if it is another Frankenstein – this time a creation of Bill Gates, imitators of Steve Jobs and Steve Wozniak, Elon Musk, and those human inventors whose lives are digital copies of the main character of The Matrix. This is the dilemma of our existence. Our Platonic problematic. Our Phaedrus III. The dilemma of losing our Humanity to the very machines we continue to invent. And the wheels of global slavery continue to turn. Our karma? In a relativistic age which beliefs in functional truths but not in Truth, when consequently many sing the praises of democracy but precious few can pin down its essence, a revisiting of Plato’s skeptical attitude towards it may lead us to a surprising discovery, that of Giambattista Vico in the 18th century: that democracy has never been based on the rule of a few all-wise leaders and not even on that of learned people, i.e., the philosopher-kings and the manipulating politicians, but on the “common sense” of all the people. The above quote by Churchill was proffered in the House of Commons on the 11th of November 1947. Some have assumed that Churchill had Plato’s critique of democracy in mind when he proffered it. That assumption is based on a kind of rationalism devoid of imagination which ends up missing the irony of Churchill’s statement, not to speak of the paradoxical nature of Plato’s critique of democracy in The Republic. The above allegory, as per Aristotle’s book on Rhetoric, can be interpreted thus: the ship is the Athenian ship of State, the rather incompetent captain is the Athenian people. The people own the state and are supreme in it, as indeed it ought to be in any democratic Republic, even a rudimentary undeveloped one. The motley crew represents the politicians who are constantly quarrelling with each other on how best to navigate the ship while regularly attempting to take the helm from the captain. Were we to seriously survey the history of mankind we would soon find out that humanity has had as their leaders precious few philosopher-kings and an abundance of Caesars and Napoleons, people who in general are in love with Machiavellian “power politik” which they practice rationally on the chess-board of life while being completely uninterested in philosophy. We would also find out that sometimes the rule of the majority turns into the tyranny of the mob which represses the few who may be branded as outsiders. This ugly phenomenon is observed and commented upon in modern times by none other than Tocqueville; despite the fact that he had great sympathies for democratic systems, he suspected that it applied to democracies also. The founding fathers of the United States were in fact so troubled by this sad tendency of human nature to rule and manipulate others, that they decided to add the Bill of Rights to a Constitution which already proclaimed and enshrined inalienable and universal truths and values. At this point one may ask: is Plato’s critique still valid today, and if so, what are the practical consequences of ignoring it? Let us try to apply this critique to an overarching problem of modern Western Civilization, namely the principle of sustainable development. This principle would require that we change the way we live our lives. We should distinguish what we truly need from what we want, as Aristotle teaches in The Nicomachean Ethics. In other words, we the people would have to democratically agree to place a greater value on the future quality of the environment than on our present comfortable life-style. This is particularly true in the developed countries, the so called first world, such as the US and the EU. This moral concept creates obligations not only for the common good of the present inhabitants of the world, but also toward future generations. There is a problem however: in a free market there is no normative standard of what constitutes a need and what constitutes a want. The only standard is one’s desires, as Madison Avenue well knows and as Plato intimated when he said that poverty is not measured by how little one possesses but by how big are one’s desires. In effect the idea that the majority of the people in a democracy would deprive themselves of their wants is redolent of one of Eco’s hyper-reality fantasies. Most “successful” politicians would not risk their popularity with the ones who elected them for the sake of voters yet to be born, to wit the jettisoning of the Kyoto agreement by a President Bush and its disregard by the EU political leaders despite its pious lip service to it. Hence Plato’s dire pessimism about democracy. He would tell us this: in rational terms, you lovers of democracy have a clear choice; you can keep democracy or keep the earth cool so that you can keep on living on this earth, but you cannot do both. You may ask: what Is Plato suggesting that we opt for dictatorship or perhaps that we vote for the Green party and Ralph Nader? Not exactly, but he is however suggesting a rational pessimism about democratic governments. Vico proved this notion philologically by comparing The Iliad and The Odyssey and showing that they could not have been written by the same author. He repeatedly explains in his New Science how this common sense wisdom has, time and again, saved humankind; that Providence avails itself of that wisdom within the immanence of human history, and it is that kind of wisdom, much more than the elitist kind of wisdom of the learned parading as “leadership,” that saves humankind time and again. Here we need to remember that in the above statement by Churchill there is an “exception:” Churchill seems to agree with Plato that democracy is inefficient, the worst kind of political system imaginable when manipulated by incompetent politicians, yes, but with the exception of all the others. This paradox that Churchill perceived and Plato missed can be explained thus: when one has trust and faith in the innate wisdom of the people, then democracy begins to appear as the only possible solution to the problems of all the people. This explanation has been proven even empirically and mathematically. Two or three people are asked to guess how many jelly beans are in a jar; an average is taken and recorded. Then six more people are asked and the average is again taken and recorded. Twelve people are than asked and the average is taken and recorded again. Consistently, the average for the last group will be closer to the reality of the situation than the second or the first, the second closer than the first, that of all the groups together closer than any individual group and closer than the guess of any single individual. In practical terms, the above mathematics proves that one can trust the common sense of all the people more than the conceited knowledge of a few elites. Not to do so, is to risk ending up with dictatorship, albeit that of a philosopher-king. Which is to say, trusting the people, the way an Abraham Lincoln did, for example, when he advocated a government of the people, for the people, by the people, has far better consequences than not trusting them, as a Machiavelli would suggest. Indeed, few people would cooperate with a State that denied them some sort of participation in the decisions affecting their own lives. They would only do so under coercion. In conclusion we can say that from a purely rational viewpoint Plato was justified in being skeptical of democracy, nevertheless he was wrong in the assumption that it was a mere matter of logic and rationality; it is also a matter of imagination and faith: faith in the ultimate wisdom of the “common sense” of the people. To be sure, such an attempt remains that of a minority (mostly within the Straussian School) who seem to think that more attention will be paid to their school of thought, if not to themselves personally, by going against the majority view. This is an arrogant and ambitious project indeed. The idea seems to be not to stand on Vico’s giant shoulders and acknowledge one’s indebtedness to him and thus see further than one would otherwise, but rather to promote one’s own neo-Platonic views by subverting and subsuming Vico’s historicism. To even begin to realize how misguided and fallacious this effort is, it would suffice to consider what Vico scholars have been saying on Vico in the last century, beginning with Croce, all the way to present times. Moreover, a list of thinkers engaged by Vico's ideas would have to include Condorcet, Herder, Hegel, Compte, Yeats, Coleridge, Arnold, R.G.Collingwood, and last but not least, James Joyce. I include here a selected list of books by eminent Vico scholars of the 20th century, in chronological order, which can also be considered the primary sources for this particular take on Vico’s historicism: Benedetto Croce, The Philosophy of Giambattista Vico, 1913, Fish and Bergin, translators of Vico’s New Science (1948), Robert Caponigri, Time and Idea: The Theory of History (London, Routledge and Kegan Paul, 1953), Bruce Mazlish, The Riddle of History: The Great Speculators from Vico to Freud (New York: Harper and Row, 1966), Leon Pompa, Vico: a Study of the 'New Science' (Cambridge: Cambridge University Press, 1975), Isaiah Berlin, Vico and Herder: Two Studies in the History of Ideas (London: Hogarth Press, 1976), F.M.Barnard, 'Natural Growth and Purposive Development: Vico and Herder', History and Theory (1979), Donal Phillip Verene, Vico’s Science of Imagination (1981), Paul Avis, Foundations of Modern Historical Thought: From Machiavelli to Vico (London: Croom Helm, 1986), Leon Pompa, Human Nature and Historical Knowledge: Hume, Hegel and Vico (Cambridge: Cambridge University Press, 1990), Keith Jenkins, Rethinking History (London: Routledge,1991). Indeed, Giovanbattista Vico (1668-1774), warned us against "the conceit of scholars". He wrote that "scholars interpret ancient cultures on the basis of their own enlightened, cultivated and magnificent times". Exhibiting from the beginning of his speculation a probing interest in comparative mythology, Vico claimed that myth, ritual, and law were coherent within each society, that each society must be made sense of within its own culture and time. In other words, the way things turned out determines both our initial interest and our interpretation of the course of historical development and one cannot help bringing modern interests, that is, one’s own interests and perspectives, to bear. A picture of Giambattista Vico's intellectual context is therefore vital to understanding his work. He greatly admired Bacon. He was contemporary with Newton, Voltaire, Leibniz, Spinoza, Hobbes, Hume, Addison, Locke, all of whom had been influenced in some degree by Descartes. Vico's warning against the 'conceit of scholars" exhibits his sense of self-consciousness as an historian; that is to say, Vico was conscious that assumptions determine how history is written. Paul Avis calls Vico "the father of modern Philosophy of History". Pompa's description of the nature of historical assumption is that the search for solutions to historical problems requires philosophical ideas about knowledge and the human condition. Assumptions are foundational., as Jeremy Bentham's definition illustrated: that which is used to prove everything else, cannot itself be proved; a chain of proofs must have their commencement somewhere. Vico also declares that assumptions flow through a corpus of work as blood flows through a body: “In order to give form to the materials hereinbefore set in order in the Chronological Table, we now propose the following axioms, both philosophical and philological, including a few reasonable and proper postulates and some clarified definitions. And just as the blood does in our animate bodies, so will these elements course through our Science and animate it in all its reasonings about the common nature of nations.” (Section II, as translated by Fish and Bergin). It is precisely the matter of assumptions which delineate Vico's departure from the Cartesian mainstream. Vico's deconstruction of Cartesian epistemology began from the inside. Cartesianism privileged a priori-deductive knowing, and a posteriori-empirical knowing, and by implication marginalised other knowledge, including theological knowing which a Thomas Aquinas surely includes. Descartes' epistemology is predicated on the assumption of atomized, rational human identity. That is to say, he assumed that humanity consisted of separate persons, and that each person was a rational entity separate from society and from the rest of the universe. This assumption is regarded as illusory in some Eastern thought-systems, but it was foundational to Descartes and the empirical tradition. This assumption about humanity was foundational to Hobbes, Locke. Rousseau, Paine. Vico stood firmly against this reductionist construction of humanity. Bruce Mazlish goes as far as attributing Vico's development of a critique of Descartes, to annoyance and professional pique. Something akin to my own annoyance at the egregious arrogance of Straussians vis a vis Vico’s philosophy. Certainly the threat was real enough. The mantle of academic honor and prestige was being torn at the time from the humanities, and flaunted by the new Cartesian disciplines. Paul Avis comments that Vico perceived that the Cartesian spirit and its influence on Catholic historical scholarship was a "kiss of death” to which I would add, not to dissimilar from the Straussian school’s influence on Catholic philosophical education in America. Vico’s core critique of Descartes first appeared in 1710, in his The Ancient Wisdom of the Italians. In it we discern the epistemological doctrine verum factum convertantur (roughly, you can only know what you’ve made). The doctrine divided all knowing into the a priori and the a posterior thus: A priori knowing was the deductive knowing of logic, of reason, was irrefutable and exhaustively knowable only because it was a figment; it was a creation of the minds of humans. One such knowing is Mathematics. Of course we might know the a priori exhaustively; we made it. This acknowledgement of its origin and limitation robbed a prioriknowing of any necessary privileging over other knowings which were also man-made. Vico's verum doctrine is an obvious precursor of the pragmatism of William James whose dictum was that the true is that which works. The real relevancy of Vico's verum factum convertantur was in its consequence for a posterior knowing. For if humans could only truly know what humans had made, then humans could not truly or exhaustively know what they had not made. It followed that only God could know truly and exhaustively what God had made, i.e., nature. This kicks empirical knowing and the idea of the law of nature off its pedestal. Vico in fact thought Robert Boyle's experimental physics, "barbarous". Descartes: “even if God had created several worlds, there would have been none where these (Descartes'laws) were not observed. Vico: “the decisive sort of proof in our science is therefore this: that once these orders were established by divine Providence, the course of the affairs of the nations had to be, must now be and will have to be such as our Science demonstrates, even if infinite worlds were produced from time to time through eternity, which is certainly not the case.” This is Vico's "new epistemology", a sort of knowing that participants in an activity claim to possess as against mere observers, rooted in the capacity for insight and reconstruction; a human could never know what it was like to be a frog or a pea, but a human could know what it was like to be tired, or ambitious, or to seek revenge. Vico's "New Science" was all about the privileging of this kind of knowledge. He considered historical knowing as superior; above mathematics and the empirical sciences. Vico did not claim originality; he located this "consciousness of the certain" in the discipline of philology, including "all the grammarians, historians, critics, who have occupied themselves with the deeds of peoples." (Fish and Bergin, 63). The question arises: what was Vico's conception of humanity as such? In the first place it rejects Descartes’ reductionistic model which abstracts humans from their social and legal context; something that was entirely foreign to the tradition of Renaissance Humanism. Vico's insistence that humans ought to be conceived socially had a long pedigree. The likes of Petrarch, Coluccio Salutati, Leonardo Bruni, Lorenzo Valla, and Leon Battista Alberti held it. Vico acknowledges traditional Catholic pessimism about human nature, with its Adamic imagery, "fallen and weak". Men, because of their corrupted nature, are under the tyranny of self-love, which compels them to make private utility their chief gain (Fish and Bergin, p. 91); but just as importantly he also attacks the conception of humanity which posits natural law, a fixed human nature from which timeless formulae about right behaviour, ownership, punishment, relationships, trade, government and a host of other things derive. These systems had been developed by thinkers such as Grotius, Pufendorf, Selden, Hobbes, Locke, Spinoza, Bayle. In 1724, Vico sought unsuccessfully for a sponsor to publish his attack. Lack of a sponsor forced him to cut his work by three-fourths; the result was the Scienza Nuova. (Fish and Bergin’s translation of Autobiography, 11). Paul Avis feels that Vico was influenced towards his doctrine of humanity by Pico della Mirandola, who had asserted that: “man alone has no determining nature beyond his own freedom. Confined by no unchangingessence of humanity, he creates himself by his deeds" (Avis Foundations, 138). Vico, on the other hand expressed it thus: “In the night of thick darkness enveloping the earliest antiquity, so remote from ourselves, there shines an eternal and never-failing light of a truth beyond all question; that the world of civil society has certainly been made by men.” (Fish and Bergin, 96) And thus: “that which did all this was mind, for men did itwith intelligence; it was not fate, for they did it with choice; not chance, for the results of their so acting are perpetually the same” (Cited in Pompa, 24). This kind of historicism is uniquely Vichian. It constructs a pattern into the past which is not explained solely in terms of aggregate individual choice. Vico's explanation of humanity differs radically from those stories which explaine similarities in societies cut off from each other by a story of common origins. He explains similarities by positing a providential operation which operates through human choice, through human institutions and arrangements (Pompa, 97). This hidden providential law, - this divinity which shapes our ends, rough-hew them how we will -, Vico explains as a cosmic purposive tendency. This idea is also discernible in the thinking of Herder, of Schelling, of Hegel, of Adam Smith and Marx, differently expressed as "invisible hand", "cunning of reason", "unintended consequences", even as "History". (Berlin, 75; Mazlish, 447). As Vico himself puts it: “Men mean to gratify their bestial lusts and abandon their offspring and they inaugurate the chastity of marriage from which families arise.” And: “Out of ferocity, avarice, and ambition, the three vices which run throughout the human race, it creates the military, merchant, and governing classes, and thus the strength, riches, and wisdom of commonwealths. Out of these three great vices, which could certainly destroy all mankind on the face of the earth, it makes civil happiness. This axiom proves that there is divine providence. (Fish and Bergin, 62). Leon Pompa points out that this is a version of the argument for the existence of God from design. If there is an impetus for humanity's good other than individual human choice, even if it operates through individual human choice, then there is a divine providence. (Pompa, 57). This providential operation has similar results in disparate and separate cultures: “Uniform ideas originating among entire peoples unknown to each other must have a common ground of truth.” This axiom, also found in Jung as “the collective unconscious” is a great principle which establishes the “common sense” of the human race. And: “All nations...keep these three human customs; all have some religion, all contract solemnmarriages, all bury their dead...we have taken these three eternal and universal customs as the first three principles of this science” (Fish and Bergin, 97, 8). Thus Vico introduced into Christian thinking a cyclical conception of time. He posited that each civilization might advance through three stages, and then regress to the first stage. Here too, Vico does not claim originality; he credits the ancient Egyptians. (Ibid, 69). The first stage is one of primitive culture: “And here it is worth reflecting how men in the feral state, fierce and untamed as they were, came to pass from their bestial liberty into human society...and to keep them in it the stern restraints of frightful religions were necessary” (Ibid., 196). But civilizations might be halted in mid-career by conquest or some other disaster, as in the case of Carthage, for example. This spiral schema enables prediction. It is one of Vico's boasts that he had been able to "fill in" the gaps where records were wanting. Thus Vico is notable for having validated the study of myths , ancient poetry, and other art forms. Vico treated mythology as a language to be learned. He thought that metaphor was a fundamental category of human rationality and he reasoned that poetry emerged before prose in primitive societies (Ibid., p. 159). Vico privileged myth as a first-class form of imaginative knowing, useful to interrogate and thus imaginatively enter the thinking of the past. If historicism and hermeneutics teaches us anything at all, it is that we are all influenced by our human and intellectual context and acknowledging that simple creaturely existential reality helps us avoid the emphasis on ideas that seems most useful by hindsight. Vico would be the first to admit that he was also limited by his own human and intellectual context which was Cartesian through and through. The Straussians never miss an opportunity to point out that philosophy per se demands a transcendence of context. I would submit that a good place to begin that imaginative journey of transcendence is Giambattista Vico’s historicist philosophy which embraces the particular without forgetting the universal. It’s happened to all of us. We’re talking with friends, and a remark sparks the comment, I can’t believe people are so crazy! Look at this! The ubiquitous cell phone appears and we see the proof: a video clip or a screen shot of people defying common sense. You wag your head in amazement and proffer the age old question: “Whatever happened to common sense?” The problem for us is the same as the problem for Voltaire who said, “Common sense is not so common.” Especially as we age, it appears the younger generation lacks the common sense we have. We read comments of others on the internet, we see video clips of people doing things that shock us, we look around us in a restaurant, and we wonder, why is common sense so uncommon? How can, what appears natural and normal to one generation can be lost in as little as the next one? How does common sense come to be? Before we can answer that question, I believe we must first start with a definition. Giambattista Vico stated that, “Common sense is judgment without reflection, shared by an entire class, an entire nation, or the entire human race.” Perhaps the more humorous version by Albert Einstein will assist us to understand that a bit easier: “Common sense is the collection of prejudices acquired by age eighteen.” Is common sense as simple as the normal ideas we have of others and ourselves that we catch from living where we are, peppered with decency for the human race? I would suggest that it is the catching, the normalcy and localness that make it elusive. We must address each of these in turn if we are to restore and continue in the common sense we wish to see in the world. Common sense must be taught and practiced. It is not enough just to say to our children what should be done, but indeed parents must take the difficult steps of practicing what they preach. Not too long ago, I was able to observe two mothers (one biological and one step-mother) to the same child in a single teachable moment. It was fascinating to me to observe the step-mother stepping up and instructing the child in what to do in a moment of awkwardness for the child, while the biological mother appeared uninterested in this moment of her child’s life. Though it appeared to be common sense that the child needed guidance, only one mother took it to heart by actually instructing the child. She actually did what common sense told me needed to be done by the parent. My parents tried to teach my siblings and I some of the commonsense rules, but even my own family managed to ignore that teaching. An example may be in order here. When I was in college, I lived with my parents, and I was one of 10 siblings that lived at home. As you could imagine, saying good-bye during extended family events was a time consuming affair. It normally took us at least an hour to leave, just because there were so many of us, and we all had to say good-bye to everyone. One day, as my brothers and sisters got older and started driving themselves to the events, one brother decided that he had too much to do that day to say good bye properly. So, he didn’t. He just left. I remember thinking that was such a strange thing, but at the same time, I admired his guts for doing something so “rude.” I thought, perhaps it wasn’t so rude. So, I observed the response of my family, but there was little said about it. Perhaps they did care, and perhaps it reflected poorly on my parents, but so little was said, it became a habit for all of us. How is this even possible? I believe the answer (in part) lies in looking at what we preach as a society and understanding the outcomes of that. We live in an individualistic society. Here, the common, consumerist message is not to worry about others, but to be concerned only with what benefits us. The common respect that was needed to live in the world populated with others is being replaced with a world where people are constantly bombarded by the message that what they want is more important that what others want. The difficulty is that as individual preferences across a variety of instances are being catered to, (think of music, video playlists, newsfeeds, food, and even lighting and soap!) the result is that civility, and what used to be called common courtesy, is being lost. This individualism frequently rules out caring for others, perhaps even for your own offspring. Cultures play into this as well. Local customs create a part of common sense, which is largely unseen until they clash. Living in South Florida, interactions between cultures are common. My children have learned that Americans (from what they have seen) don’t say hello like it is expected in Latin culture. In fact, that was one of the huge differences that I learned about the hard way. When I didn’t say hello at the very first sight of seeing my Latin family members (by marriage), I was reprimanded severely for being so rude. That instance of common sense was cultural. I was following the cultural rules I knew, but they were inappropriate in my new country, Venezuela. What is normal depends upon the culture you grow up in. In fact, I have learned that so often what is logical in one part of the world, is not in another part. Growing up in a northern climate with four seasons, planning was always a necessity. If you don’t take advantage of the nice weather today, it may very well be gone tomorrow, and your chance is lost. When I lived in Venezuela, I learned that the topical climate affected their planning. A friend of mine from there put it this way: Tomorrow will be the same as today, so if your work doesn’t get done, just do it tomorrow. My way of thinking that things could change drastically one day to the next (based upon the weather) was invalid in that part of the world. That manner of thinking affects more than just planning. It affects what is normal, and hence, it affects what is common sense. So how do we combine all of this into something that can be taught? As people today are interacting less and less in person, perhaps a primer on how to behave would be useful. Cultures in Europe are seeking a common identity to help guide them in their quest to build unity across cultures. Perhaps it’s time to re-invent the “common” Rules of Civility and Decent Behavior in Company and Conversation by George Washington. As I went through the little tome many years ago as a boy, I wondered which of those rules still applied to my day and age. Imagine my surprise to learn that many of the lessons which needed to be learned by Washington as a boy, are still needed today. Perhaps a small volume could guide people toward a common sense we could all get behind, one that deals with the basic respect for humans that have guided educated people for generations, one that advocates common sense.